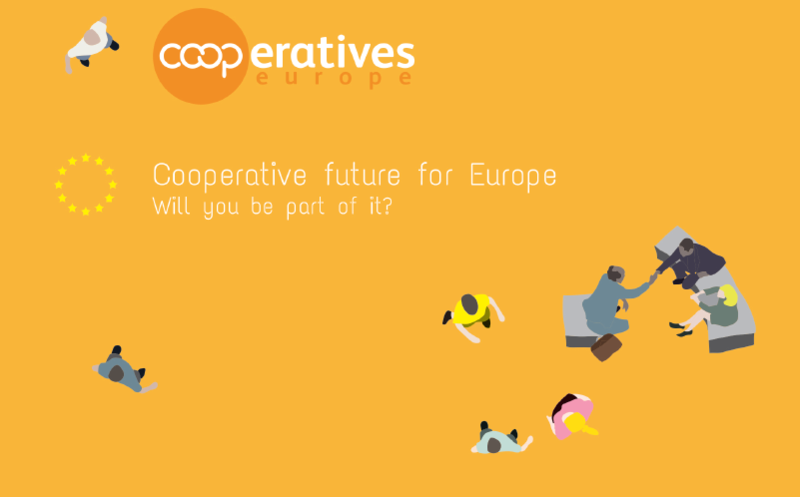 Cooperatives Europe releases today a strategy paper titled “Cooperative future for Europe: will you be part of it?” as well as its cooperative campaign ahead of the European Parliament elections, titled #CoopsInspireChange, available at elections.coopseurope.coop. The strategy paper presents the contribution of cooperatives at the European level as well as the key priorities of Cooperatives Europe with the recommendations for action over the next years. The paper calls for a permanent and constructive dialogue with the European institutions, as Cooperatives Europe hopes for strengthened support to the cooperative movement by the newly elected European Parliament. Cooperatives Europe also releases its campaign #CoopsInspireChange in the framework of the upcoming European elections. Cooperatives and their values inspire change in the lives of the citizens, communities and the way we imagine our future, which is why Cooperatives Europe calls citizens, candidate MEPs and allies to build a new Parliament that will put people first and give cooperative enterprises ground to change the course towards a more democratic, sustainable, fair and value driven Europe. Build a new network of #CoopSupporters – candidate MEPs who pledge to support the recommendations of the cooperative movement and build a people-centred economy. The campaign is available at elections.coopseurope.coop. The website will display existing #CoopSupporters, showcase the social media campaign #CoopsInspireChange and provide a practical information on voting and range of documents and resources for all supporters, candidates and, members and citizens to join the campaign. The campaigns aims to be that of the whole European cooperative movement, which is why majority of the resources can be modified easily to include logos, colours, and messages of participating actors. Cooperatives Europe has also signed a partnership with the European Parliament to promote the efforts for encouraging communities to vote. We ask European cooperators and supporters to pledge #ThisTimeImVoting at www.ttimv.eu/cooperatives and share this link with their networks. View the strategy paper here.